Ever since the new app, my Iro goes offline evertime a schedule is supposed to start. Even if I try to start the schedule manually, it immediately goes offline. Router shows green light like normal. 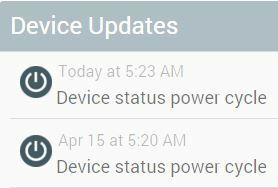 Power cycle brings it back online, but immediately goes offline e instant I try to start a schedule. Edit: I should point out the schedule doesn’t run either. That’s typically due to wiring issues overloading the controller. Can you email before/after wiring photos to [support@rachio.com] and they can help troubleshoot. I’ve been using this for over a year and haven’t touched a single thing in the wiring since the day I installed it. I have a steady “long flash” green flashing wifi light and I can ping it from my computer, from your online docs i take that to mean it’s “connected to server” but … apparently not? Hmmm…let me run some diagnostics. So it does look like inbound requests are working to the device and it will run things correctly. Outbound requests (i.e. telling us a zone is running, etc.) look like they might be having an issue. I’ve opened a ticket with our 3rd party WiFi provider to determine what is happening. As far as I know it’s an issue on their servers. So you should be fine to run zones, etc, there just wont be instant feedback. I’ll ping you as soon as we have an answer. Ok, but it didn’t run any of my schedules this morning. 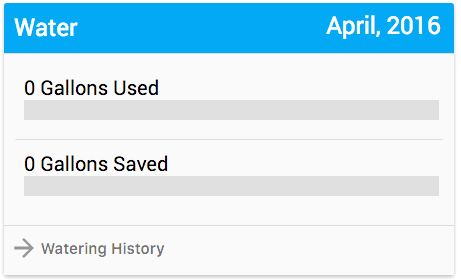 The “history” in the app says it did, but nothing ran. Ok thanks, I’ve sent all this information along, as soon as I hear back will let you know. For morbid curiosity, does it happen if you manuall activate a zone? At lest somewhat similar wonky behavior two days. In my case, WAN schedule reported a zone did NOT skip (had a higher rain threshold than some others that did) but then watering history did not show it actually ran. Emailed support and they reported back that the schedule info was in error. Zone should have updated to skipped but there was a comm error. System looks good now, working with 3rd party WiFi provider for root cause. Please let us know if you have any other issues. Thanks for your patience. @franz - I’m not sure I understand what you mean by “Third Party WiFi provider” What wifi? Where do you deal with wifi other than my own wifi in my house? I’m not sure I understand what you mean by “Third Party WiFi provider” What wifi? Where do you deal with wifi other than my own wifi in my house? The gen 1 devices are connected to your WiFi with a technology called the Electric Imp. I believe this was due to the state of the device where it could not send outbound messages. Everything should look great now. Ok Thanks, now that’s back. What did you do to my history?? It is still there, assuming you are on the web?, I would just do a refresh. Weird - show up in phone app but not on web. Sometimes you have to give the graph a really long time to do whatever it is doing under the covers. It will normally eventually fill in. Also, sometimes it will show an oddball month with some kind of crazy looking stuff, but again give it time and it will fill in. At least that is my experience with it. I have a similar problem that is frustrating. I can manually run zones, but as soon as my schedule starts, it shows ‘Offline’ but the schedule does seem to run. I get notifications when the schedule is delayed due to rain or other factors, but as soon as it’s scheduled, the app shows the device offline (but I can ping it and it shows active in my router) and it doesn’t catalog the event. Shows the last time it ran was 4/13, but it did go this morning. I have done everything listed in the troubleshooting steps but to no avail. It began happening after 4/13 but before the latest iOS app update. I have a Gen 1 device and within 30 feet of my router. Below is a screen of the last two manual device power cycles when the schedule was supposed to run. Device was working nominally and then went offline when the schedule was supposed to run. It appears that the zones were watered, but was not captured, and I had to power cycle device to have it show online in the app and web. No scheduled times ran between these two due to current rain and climate conditions that forced them to be skipped as advertised.